England's George Ford looks dejected after the dramatic 38-38 draw with Scotland. IT WAS disingenuous of head coach Eddie Jones to suggest England’s psychological issues date back to the 2015 World Cup. To suggest the issue is a hangover from those days of the 2015 World Cup – before he even took over – smacks of desperately trying to pass the buck. Next the Australian coach might even blame Sam Burgess for the debacle. Only seven players from that fateful night against Wales four years ago remained in the 23-man squad that stumbled so horrifically versus Scotland on Saturday. That said, when you have just witnessed your side – full of supposed elite international players – somehow squander a 31-0 lead it is perhaps easy to get your numbers, memories and maybe even your own name confused. With the next World Cup looming later this year he will already have had some pressing issues to contend with before Saturday’s bizarre final Six Nations encounter. But not even Jones could have envisaged his side unravelling quite as spectacularly as they did in a surreal Calcutta Cup clash. Yes, they recovered at the finish to salvage a 38-38 draw, but to be left in that position against what could be classed as a Scotland second team left all sorts of question marks about England’s ability to compete effectively in Japan this autumn. Certainly no All Blacks side would collapse in such a fashion; there would be a national inquest if they did and you could even imagine demands for court proceedings of some sort. Jones, quite rightly, admitted his team have some sort of mental fragility to allow a position of such power to be frittered away so wantonly. But to suggest the issue is a hangover from those days of the 2015 World Cup – before he even took over – smacks of desperately trying to pass the buck. Next the Australian coach might even blame Sam Burgess for the debacle. Let’s face it, Jones has had more than three years to eradicate such failings so it was clearly wrong to try to lay blame at the door of his predecessor Stuart Lancaster. 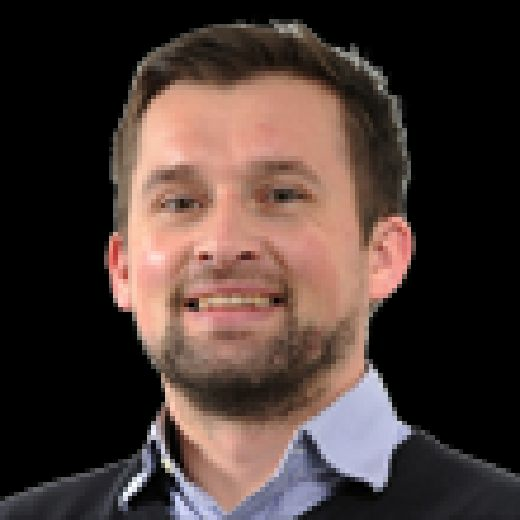 Granted that England side let a 10-point lead slip against the Welsh at Twickenham, a result that led to them becoming the first hosts to fail to get out of their World Cup group. But that cannot be used as a reason behind this latest shambles, or the power-off against Wales in Cardiff earlier in this Championship, and those two winning positions lost in South Africa last summer. Who were the ones, though, who witnessed first-hand both Wales games four years apart? Jonny May, Owen Farrell, Ben Youngs, Billy Vunipola, Joe Launchbury, George Ford and Dan Cole. And all bar Cole will be certainties in England’s World Cup squad when it is eventually named. The obvious inference is that England – for all their brilliance in that first half against Scotland – will simply not be good enough throughout the team itself and the tournament to win the Webb Ellis Trophy for only a second time. They have not yet got that consistency of performance required to work their way through a World Cup competition and have only a few months and four warm-up games to find it. Admittedly they have some world-class players to return to the fold, not least injured loosehead Mako Vunipola and Maro Itoje. But events at the weekend have shown how much they already rely on Owen Farrell. The fly-half and captain rarely puts a foot wrong, but he endured a miserable evening against the Scots and it is no surprise, that when his performance faltered, too, in the second half in Cardiff, that resulted in England’s only defeat of this Championship. Jones replaced the Saracen in the 70th minute against Scotland when they were still trying to retrieve the game; it must be a real concern for him that he felt compelled to take his captain and totemic player off at such a time of need. 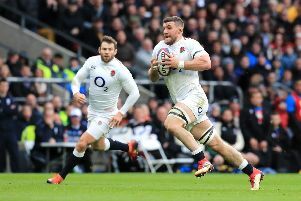 Still, there is plenty to like in this England squad; Jonny May continues to impress, his six tries seeing him finish as the Six Nations top try-scorer, while flankers Tom Curry and Mark Wilson have been real finds. 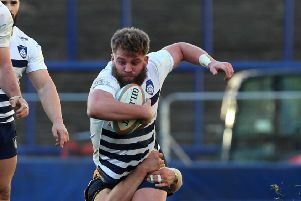 Elliott Daly has made the No 15 jersey his own after replacing Mike Brown and his verve has brought a new edge to their attacking play although his defence came under question as England collapsed in that second half versus Scotland. Witnessing Manu Tuilagi play all five games in one Championship for the first time in his injury-hit career was another tick for Jones and his preparations. There is, then, much to ponder and he will be desperate to get his hands on his squad for an extended period as will be the case when they gather for three months of training during the summer. Part of that will see two-, eight- to 10-day spells in Treviso, in Italy, in July and August to try to get them ready for the conditions they may face when their tournament starts against Tonga in Sapporo on September 22. There is an argument England are already over-trained, but Jones believes such camps will be crucial in their final preparations and, at some point, he will also employ someone to help get to the bottom of that recurring issue of throwing away leads in games. England’s warm-up games see them play Wales twice in six days in August before hosting Ireland and rounding off with Italy in Newcastle on September 6. Then the real business begins and the ultimate test of this England side. But, more precisely, Jones’s credentials.